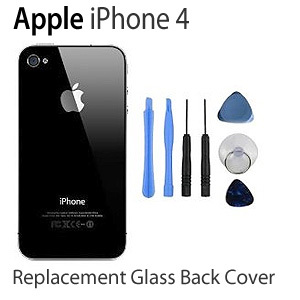 Replacement for your damaged or broken back battery cover. Get your phone looking like new. Please note that we can not be held liable for any damages cause while installing this item. What is more annoying than dropping your phone 4 on the ground and smashing the back plate (other than smashing the screen)? Going to an Apple store to buy a replacement, only to be told 'you are not supposed to open the back of the phone sir'. I am not allowed to open the back of my own mobile phone? Tell me you aren't telling me what to do with the piece of hardware I own. 'You will invalidate your warranty sir'. Surely that is my decision, and if I break it, then it is my choice to buy a new phone isn't it? No. Instead I have to book an appointment with a genius, to have this genius unscrew 2 screws and replace the back for £25. I recommend this replacement wholeheartedly. It is identical... literally identical to the real thing, and will make your damaged back plate look as good as new. 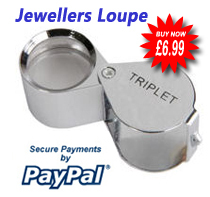 Make sure you remove the tiny piece of protective plastic from the lens cover, or your photos will be cloudy.